WASHINGTON — FBI Director Christopher Wray clashed publicly with the president for the first time Wednesday, condemning a push by House Republicans to release a secret memo that purports to show how the bureau and the Justice Department abused their authorities to obtain a warrant to spy on a former Trump campaign adviser. 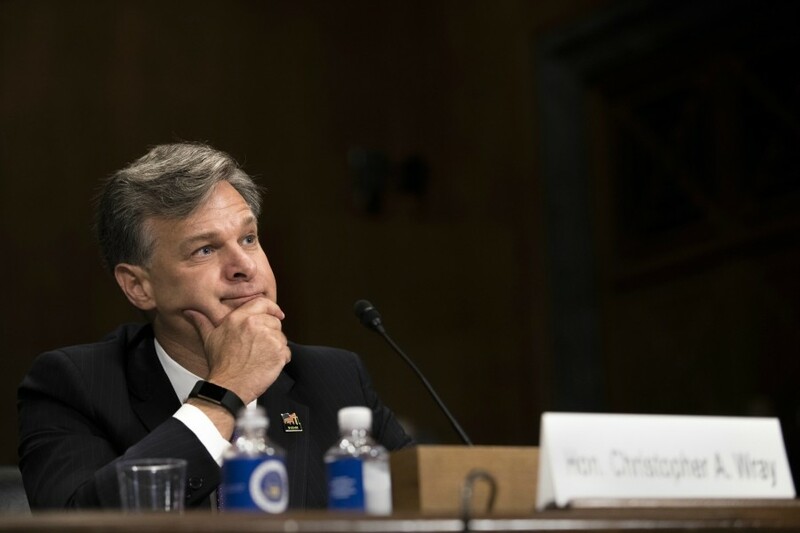 Though Wray’s name was not attached to the statement, the high-profile comment by the FBI thrust him into a confrontation with President Donald Trump, who abruptly fired his predecessor, James Comey. Trump wants to see the memo released, telling people close to him that he believes it makes the case that FBI and Justice Department officials acted inappropriately when they sought the highly classified warrant in October 2016 on the campaign adviser, Carter Page. The president’s stance puts him at odds with much of his national security establishment. The Justice Department has warned repeatedly that the memo, prepared by Republicans on the House Intelligence Committee, is misleading and that its release would set a bad precedent for making government secrets public. FBI officials have said privately that the president is prioritizing politics over national security and is putting the bureau’s reputation at risk. People who have read the 3 1/2-page memo say it contends that officials from the FBI and the Justice Department were not forthcoming to a Foreign Intelligence Surveillance Court judge in seeking the warrant. It says that the officials relied on information assembled by a former British intelligence officer, Christopher Steele, without adequately explaining to the judge that Democrats had financed the research. The Republican-led Intelligence Committee voted along party lines Monday night to release it, invoking an obscure, never-before-used House rule to sidestep the usual back-and-forth between lawmakers and the executive branch over the government’s most closely held secrets. Democrats on the committee objected and have prepared their own 10-page point-by-point rebuttal of the Republican document. The committee voted against releasing the Democrats’ memo publicly.